Delicious traditional Scottish shortbread, handmade to Chrystal's family recipe, using the finest ingredients and packaged in a beautifully decorated box, the perfect gift from Scotland.This mouthwatering shortbread is beautifully packaged, featuring a painting of bathing Highland Cattle on a rural beach on the West Coast of Scotland. This image is taken from an oil painting that was specially comissioned by Chrystal from Glasgow artist Daniel Campbell. Each box contains individually hand-cut pieces using the finest ingredients and beautifully packaged, the perfect gift from Scotland. 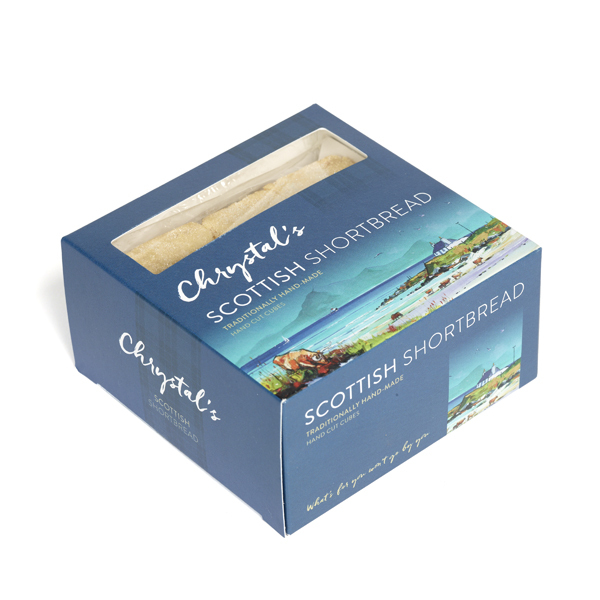 This attractive packaging features a painting of bathing Highland Cattle on a rural beach on the West Coast of Scotland. This image is taken from an oil painting that was specially comissioned by Chrystal by Glasgow artist Daniel Campbell. 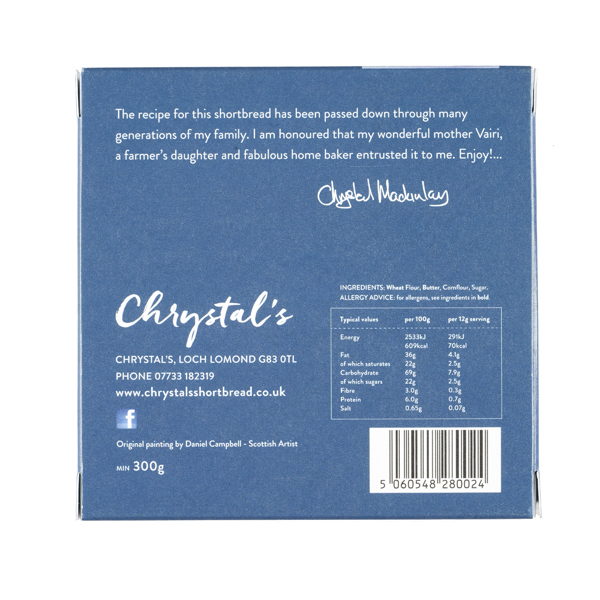 Chrystal’s Shortbread is a small independent bakery based near Loch Lomond in Argyll, Scotland. It is run by husband and wife Chrystal and Rory Mackinley. 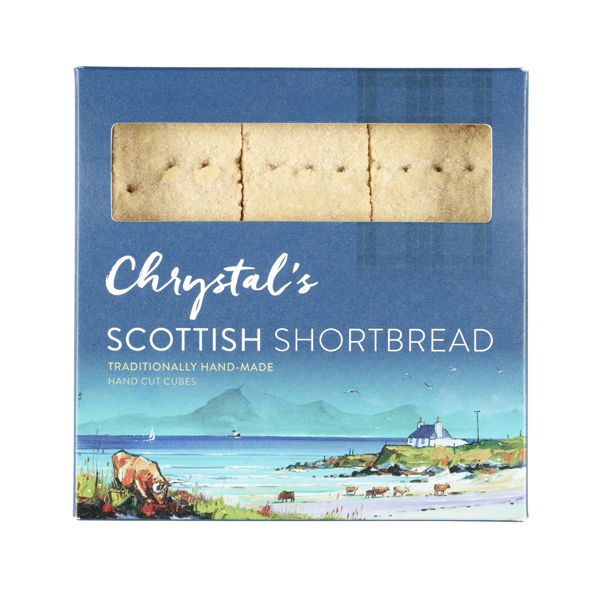 Shortbread is a traditional Scottish biscuit, originating in Scotland, with the first printed recipe in 1736, from a Scotswoman named Mrs McLintock. Shortbread is widely associated with Christmas and Hogmanay festivities in Scotland.